The Stowe Street Arts Festival is excited to announce our 2011 Friday Night Entertainment Sponsor: People’s United Bank! 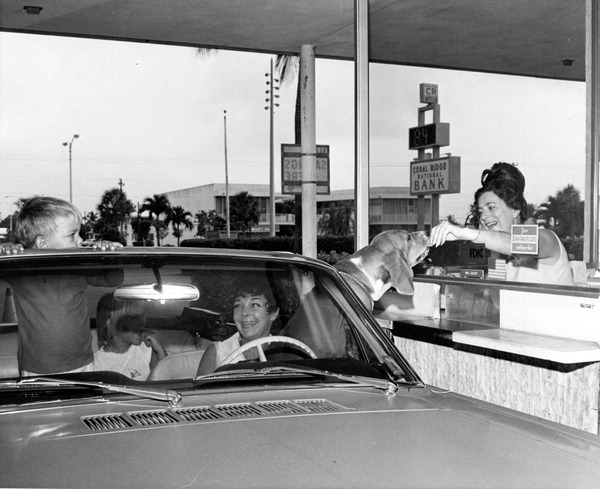 I remember as a kid how excited the family dog would get when we drove anywhere near the bank’s drive-thru window. Sadie would sit up and start to whimper. Then the lip smacking. Then a more impatient whimper and a little dance as if to say “Silly humans! Hurry up and do your banking already! I’m absolutely star-ving!” A few dogs later and new bank ownership, but nothing’s really changed at all. People’s United Bank is the largest regional banking organization headquartered in New England, but it is their mission to continue what their founders set out to do – invest in the communities they serve. In addition to their community involvement, they offer user-friendly banking services such as their online banking system, so you can keep track of your finances while you check facebook. They have 10 locations within a 20 mile radius of Waterbury, so whether you are staying local or going out for a night on the town they are right there for you. And now it’s Sidney who does the little bank-dance, because they still have the best dog biscuits in their conveniently located drive-thru windows! Click here to read more about their Vermont Community Service Initiatives and how People’s United can help you and your banking needs. And don’t forget to swing by their location in downtown Waterbury on your way to the Stowe Street Arts Fest, Saturday July 16! This entry was tagged community, facebook, Friday Night Entertainment Sponsor, local, People's United Bank, sponsor. Bookmark the permalink.